The first movie that Luis Bunuel created was Un Chien andalou, Salvador Dali helped write the movie. 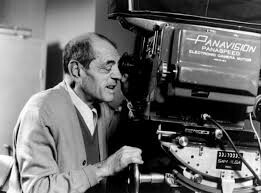 Bunuel discovered the term "cinema of instinct" from his surrealist movies. He also made many movies in Spain that were called "commercial films". Some of his other major films are: Las Hurdes, Los olvidados, Robinson Crusoe. Created the first Spanish movie club in 1920. Luis Bunuel went to Paris two different times. The first time in 1925 where he was part of film producing circles. The second time in 1936 where he was a volunteer for the government in Paris. Luis Bunuel worked with Salvador Dali. Luis Bunuel found that his true passion for expression in Paris.